In all of your life, you are the person with whom you will spend the most time. Make sure that's a good and enjoyable relationship. 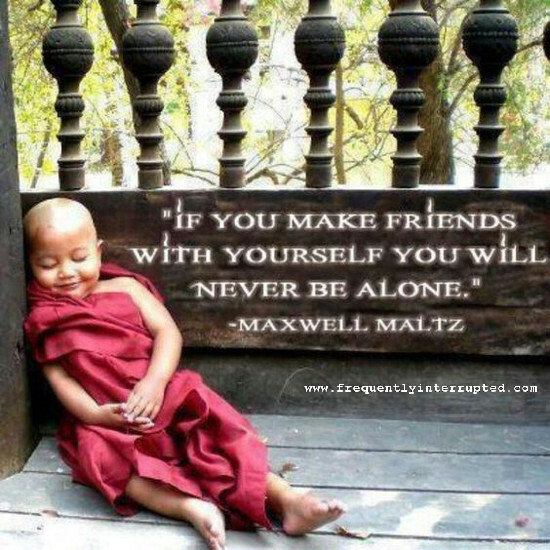 Make friends with yourself, and you will have good company wherever you go. You will also have good practice for making friends with others. If you want good friends, start by being a good friend.